Great upmarket pub just outside the CBD, both food and service are in another league. 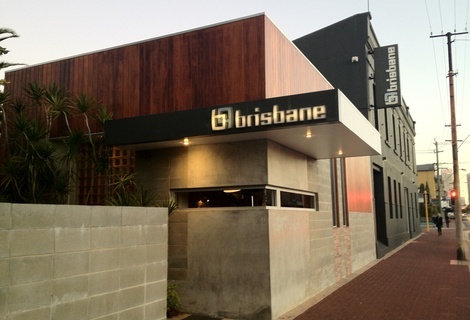 The Brisbane was reviewed on Monday 21st May 2012 18:49 by Richard. The Brisbane is one of the better known pubs in Perth and there are many reasons why. Basically it all boils down to it being in an absolutely great location with consistently good service and amazing food. It's taken us a while to get around to reviewing it but man I'm glad we finally did. Walking in, I forgot how big the place is, there's a massive beer garden area out the back and an abundance of seating and standing room inside too. There's even a comedy club (Lazy Susan's) located upstairs. Inside, the decor is modern and classy but not to the point it becomes pretentious, it still has a very laid back, almost beachy, vibe going on eventhough it's a fair distance from the sea. Being a Monday night I expected it to be a lot quieter than it was, but there was still a decent crowd about and they had just the right amount of staff on to cater for it. So often you see pubs running a skeleton crew on Mondays and Tuesdays, and if it happens to be busy, you either wait a long while to be served or in severe cases even acknowledged. This was definitely not the case at The Brisbane. Our waiter was on the ball, it was like he had a hawk eye fixated on our beers. Every time they neared the ominous "three or four sips to the end" threshold, he came up and asked us if we were alright for drinks. It became blatantly obvious to me that the owners have invested some considerable time and effort in encouraging their staff to be both friendly and attentative, as the service was on par with The Brisbane's 'sister venue' The Boulevard in Floreat (a recent pubreview Pub of The Month winner). We were both faced with a tough decision when it came to ordering our food. 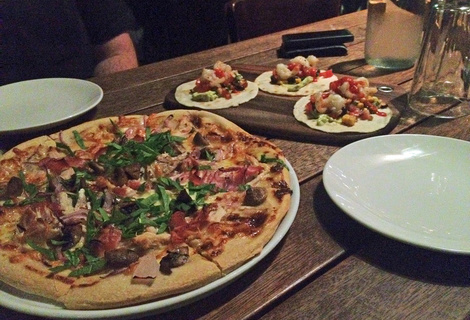 The menu was packed full of interesting choices but we finally settled on a chicken, bacon and mushroom pizza as well as grilled prawn tortillas to share. As mentioned previously, the service was great, fast, efficient and delivered with a smile. Our food came out within 15 minutes of ordering and looked amazing. The grilled prawn tortillas were delicious; the flavours were just right, the prawns were fresh and cooked perfectly. As always the pizza was great, generous amounts of toppings and again the flavours just worked. There is an impressive wine list comprising of a range of both Australian and international reds and whites as well as a more than adequate on tap and bottled beer selection. As it was still relatively warm and we were savouring the last few days of reasonable weather, we had a couple beers in the outside area which is great, especially on a sunny summer’s day. Overall the food and drink value is decent. The tortillas were off the 'share' section of the menu and at over $20 (for three) they seem a bit pricey, but once you get stuck into them and experience those great flavours, the price is irrelevant. The pizzas and drinks were also reasonably priced and nothing seemed to be too over the top. I know there's a bit of outrage in Perth at the moment about extortionate prices being charged in pubs across town and while The Brisbane is by no measures cheap, it's certainly not over priced. It delivers the quality expected of the price paid and for me that seems to be a bit of a rarity in Perth these days. 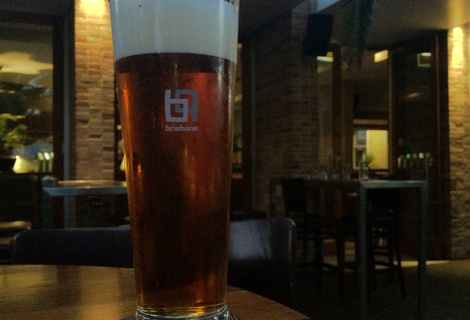 The Brisbane is a definite 'must visit' pub in Perth and we highly recommend swinging by if you’re in the area or looking for a good venue to have a drink with mates or a meal with the family. There's very few pubs in Perth that can consistently match the reputation and quality The Brissy delivers. 4/10Fuse Bar at Hotel Northbridge in Perth, WA (538m away)Hotel Bar in Northbridge with not a lot going for it. 7/10El Publico in Highgate, WA (686m away)Modern Mexican small bar with more tequilas on offer than you could throw a donkey at. 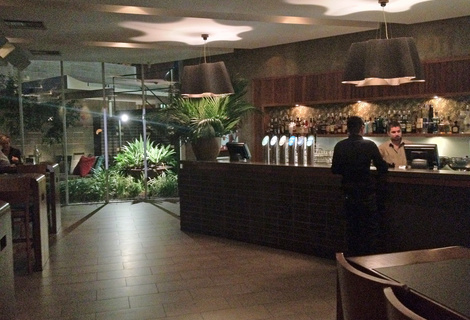 9/10The Boulevard Hotel in Floreat, WANewly renovated gem in Perth's western suburbs. Amazing service and fantastic food. 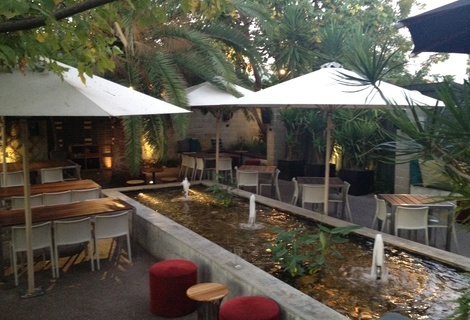 8/10The Byrneleigh in Nedlands, WAFantastic food with a rustic atmosphere.